A member of the House says “good bye” as she prepares to move on to the Senate. Rep. Shalonn “Kiki” Curls, a Democrat from Kansas City, won a special election to the 9th Senate District last month. She will replace Democrat Yvonne Wilson, who resigned last year. Curls has given her farewell address to the House during a brief floor speech. Curls first won election to the House in 2006. She will serve the remainder of the term Wilson won in 2008 and will be able to run twice more for the Senate under term limits. One thing doesn’t change for Curls. She will remain in the minority as she moves to the Senate, which Republicans also control. 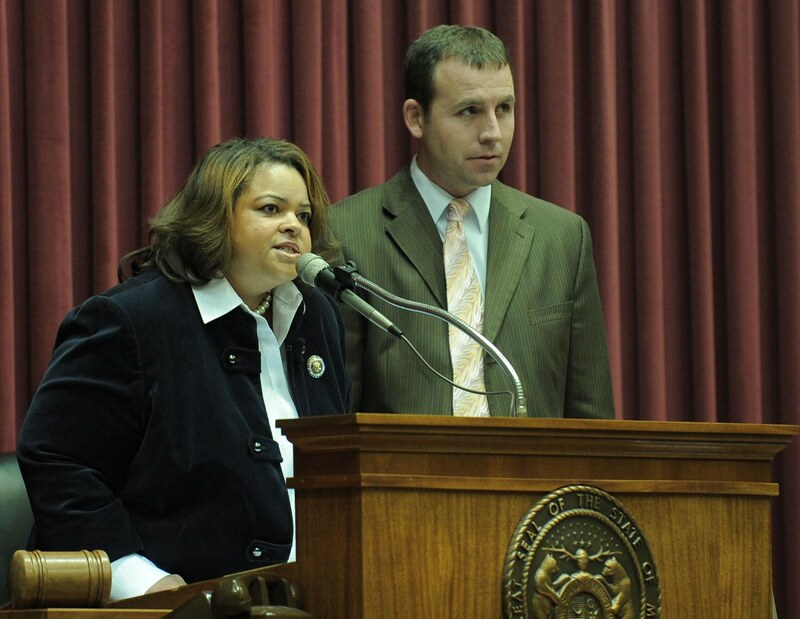 Governor Nixon now must call for a special election to replace Curls in the House; the 41st District.